Charter Oak Primary School is located across the street from Haymeadow apartments...literally! 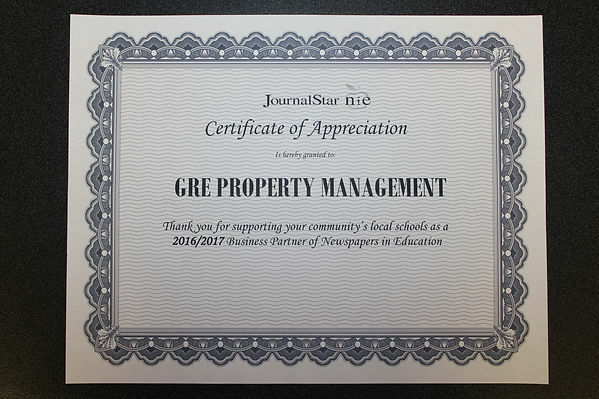 And in an effort to become a more socially responsible community, Haymeadow Apartments and GRE Property Management have entered into a partnership with The Journal Star through their "Newspapers in Education" program to support teachers and students. One of our core values is our support of the growth of our local community through our actions and contributions. We are proud to do our part in helping build a more literate society and a strong future for Central Illinois students. In the coming months and years, we will have many opportunities to support the efforts of our teachers and in general, work toward the goal of becoming a more socially responsible community. We’d love to hear your ideas! Please contact our Property Manager to share! Thank you!